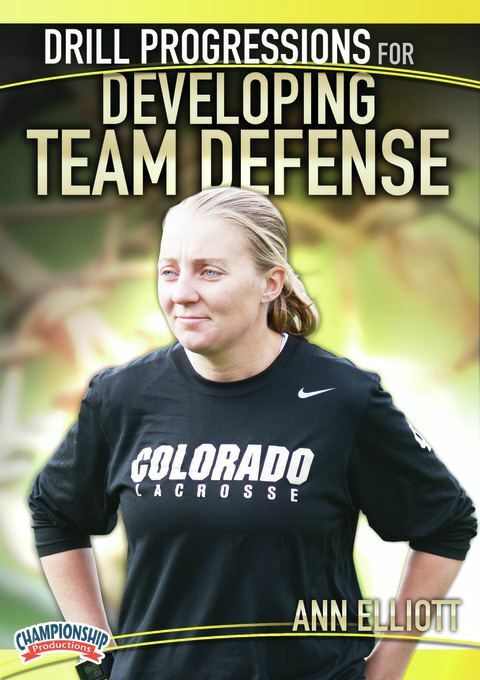 As an assistant coach at Northwestern University, Ann Elliott built a top-ranked defense that helped lead her team to three national titles. In this presentation, Coach Elliot shows you how to train your defense to take away space and to force attackers to go where you want them to go! Starting with 1v1 play and working up to 7v7, Coach Elliott shares a series of progressive drills for building a successful team defense. Coach Elliott breaks down the drills on the whiteboard, showing the details you need to set-up and run the drill effectively. The action moves to the field where she runs her players through the drills, making corrections and giving coaching tips throughout the live practice. These competitive practice drills not only build defensive principles, they also help attackers with passing and dodging skills. Take your defense to the championship level with the drills and coaching tips included in this dynamic presentation!